What a transformation for customer Dee! After feeling low, hiding behind baggy clothes and never socialising, Dee decided to do something about it. 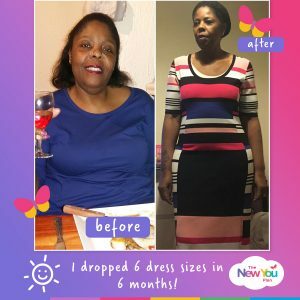 In just 6 months she has lost a life changing 88lbs, dropped 6 dress sizes and has seen huge improvements to her health, including no longer being classed as pre-diabetic. 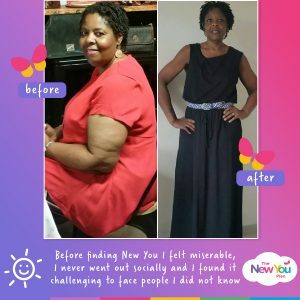 Here, she shares her story in the hope of inspiring others to do the same. Dee, describe how you felt before you started the plan? I felt miserable. My social life took a massive hit as I stopped going out. I also found it challenging to face people I didn’t know because I just didn’t feel like myself anymore. Because I wasn’t going out, I was staying in and eating instead. It was a vicious circle and I couldn’t see a way out. I came across the plan online and I ordered a starter bundle to get going. 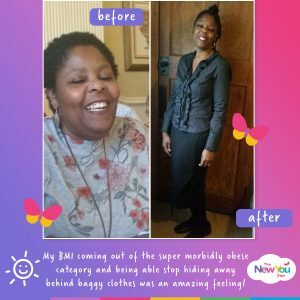 What I loved the most was that I saw results straight away and for the first time, I felt like I had found something that would finally work for me. 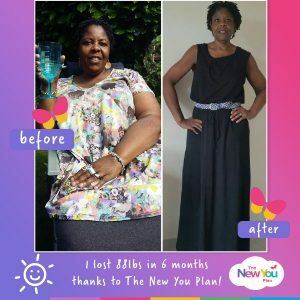 I stuck to the plan for 6 months, lost 88lbs and dropped a huge 6 dress sizes. Every area of my life has changed. 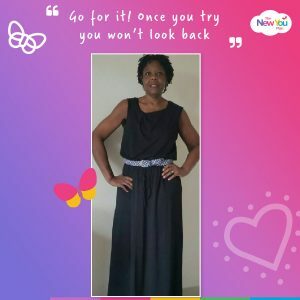 I now have a social life, I am facing up to some of my fears about what I can and cannot do, I’ve gone back to doing weight training and I am in the process of changing my career. 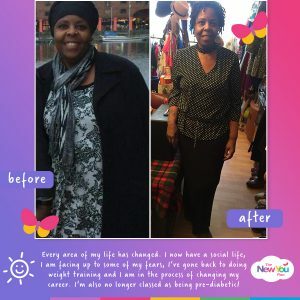 I’m also no longer classed as being pre-diabetic, which was a huge fear for me. I’m so glad that both physically and mentally, I feel like my life is back on track. What was your biggest motivator for sticking to the plan? Getting back to good health and feeling fit was a huge incentive for me. I was tired of feeling tired. Also, because I love the variety of meals, it didn’t actually feel like being on a diet. Being able to buy clothes 6 dress sizes smaller is an amazing feeling. I also love that I am now happy in my own skin. There’s no better feeling. My BMI coming out of the super morbidly obese category, which was an amazing achievement. As well as losing weight, it’s also about seeing improvements to our health. I no longer felt like my health was a danger. For years, I was hiding behind layers of baggy clothes because I was trying to disguise my weight. Wearing smaller, slinkier clothes is fabulous. “You are looking good Del”. As simple as that! 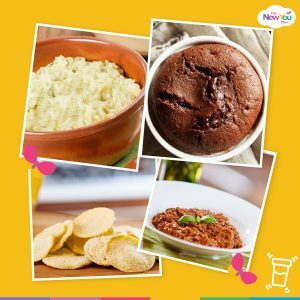 I love them all but if I had to choose just a few, I would say the Vivid Vegetable Risotto, Delicious Vegetable Chilli, all the Soups, To Die for Chocolate Brownie, Salt & Vinegar Crisps, Cheese Crackers and all the Bars… Everything is in fact delicious and I love the variety of the meals. Go for it!! Once you try you won’t look back.